Headland offers the ambiance of a friendly small town with the amenities and attractions of a major city. Headland provides a safe and secure enviroment in which to conduct business. Headland has an excellent education system and a modern general aviation airport. Along with it stable business enviroment, Headland has an excellent education system and a modern general aviation airport. These are a few reasons why Headland, Al is a great location to live, work and play. 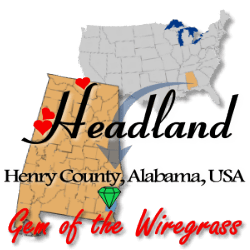 Conducting business in Headland, AL is very easy with its many business support services and our City and County governments that are very "business friendly". Business regulations are minimal and the free enterprise system is allowed to operate as it was intended. In Headland, most everyone is on a first name basis with local political leaders. With an abundance of electricity, natural gas and domestic fresh water being supplied to Headland and the surrounding area, utility costs are among the lowest in the region. Headland is also keeping pace with the ever-changing technologies associated with telecommunications and high speed access to the information super highway. As of 2009, Headland's population is 4,009 people. Since 2000, it has had a population growth of 8.43 percent. The median home cost in Headland is $113,400. Compared to the rest of the country, Headland's cost of living is 18.29% Lower than the U.S. average. If your looking to locate and grow your buiness in Headand, the Economic Development Partnership of Alabama maintains the state's database of available industrial buildings and sites. Below are links to their fully searchable database whichs contains data on buildings greater than 5,000 sq. ft. and sites greater than twenty acres in the Headland area (Henry County). The Headland Area Chamber of Commerce works closely with the EDPA to help keep this database as current as possible for available sites and buildings in the surrounding area. 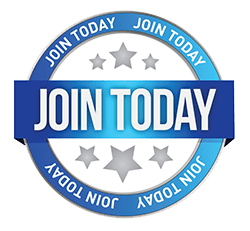 The Headland Aread Chamber always encourages individuals to contact the EDPA and local Realtors with new listings that may not have been entered into the database.